This is a review of UTI Clear. This product was designed for those who have urinary tract infections, and want a way in which they can relieve the infection through a natural process. This product also works to prevent UTI’s from happening again. For those who are interested, read on for the complete review. The capsule is also going to contain gelatin, magnesium sterate and calcium carbonate. With UTI Clear, it can be used for UTI’s that a person may have now, or it can be used as a supplement to keep these UTI’s from coming back to hurt the person. That is why there are two dosage instructions. For those who are taking UTI Clear in order to clear up an infection, they are going to want to take six capsules daily. They will want to take two in the morning, two in the afternoon and two in the evening for the best effects. For those who are simply taking UTI Clear as a way to prevent infections, they will want to take two capsules per day. One in the morning and one in the evening to keep this supplement in your system. There are not any known side effects of using UTI Clear. However, those who are pregnant, breastfeeding or have other medical condition will want to talk with their doctor before using this product to ensure that it is safe. Though the product utilizes natural ingredients, there is a slim chance for having an unknown allergy to the natural ingredients, which is something that all users should take into consideration. There are four price packages that UTI Clear offers. The Sampler Package is going to include one bottle of UTI Clear and is going to cost $49.95 for the bottle. The Beginner Package allows you to buy one bottle at regular price and get another bottle for half off. The total price is going to be $69.90, making each bottle $34.95 per bottle. The Advanced Package includes four bottles of UTI Clear. You purchase two at regular price and get two free. The total price package is $111.80, making each bottle cost $27.95. The Top Selling Package includes a supply of six bottles of UTI Clear. You purchase 3 bottles are regular price, and get the other three for free. The price per bottle becomes $23.30. The total package price is $139.80. 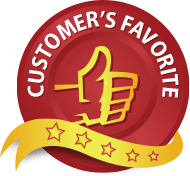 UTI Clear offers a 60-day money back guarantee. Therefore, there is no risk at all to you to try this supplement as your method of dealing with urinary tract infections. In order for this guarantee to be effective, a person must contact the company before the 60-day period is done and then return all opened and unopened bottles of the product. 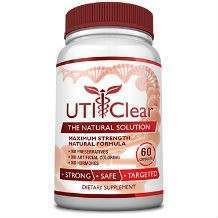 If you are tired of dealing with UTIs that are affecting every part of your life, then UTI Clear could be the one way to get your life and health back on track.